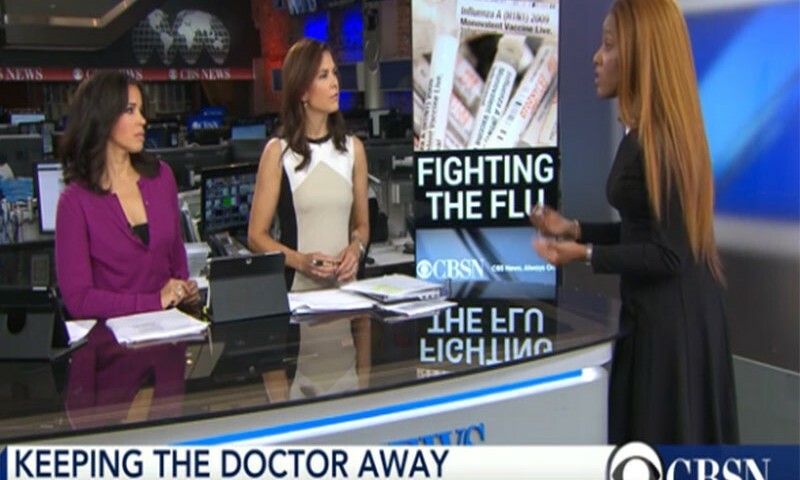 Dr. Nesochi talks to CBS news about the effectiveness of the flu vaccine–Watch now. The flu vaccine is 59% effective — is that good enough? FEBRUARY 25, 2016, 11:09 AM | The Centers for Disease Control and Prevention says this year’s vaccine was 59% effective. With more, Dr. Nesochi Igbokwe from the New York University Langone Medical Center joins CBSN.